All indications are that the Democrats are going to take a beating in November. So, in a few short months, we should make a return to one of my favorite policy-making environments: Gridlock! This will frustrate many, but it will make me so happy. What economic decision makers (I’m talking about people who make things and hire people, not the pointy-heads in DC who don’t actually produce anything but hot air) need in tough times, more than anything else, is stability. A Democratic President and a divided (probably Republican) Congress is a strong prescription for nothing happening that decision makers can depend on. Yayyyy! I’m looking forward to returning to the era of the most successful Republican president since, well, probably ever. That would be Bill Clinton, of course. The signature policy successes of the Clinton Era were 1. NAFTA; 2. Balancing the Budget; 3. Welfare reform. Name a Republican president who has done better at instituting Republican economic policies. No one beats Bill Clinton. If you look at long-term graphs of government expenditures and revenues, the “Reagan Revolution” is mostly a fantasy (sorry, no more graphs today). Clintonian triangulation actually got us somewhere in key areas. Because of gridlock, he wasn’t able pursue the leftist policies his wife wanted him to. So, the Obamanistas were right after all. We now have hope I can believe in. Financial reform continues to make its way through the legislative sausage maker as conferees desperately seek to meet the administration’s July 4th deadline. As noted in earlier postings, the body created by Congress to investigate the causes of the crisis as a means of informing the legislative process continues to hold hearings in hopes of reporting to Congress in December…some five months from now. If one believed that major regulatory change should be informed by reasoned analysis, this disjunction might prove to be a source of concern. The conference committee was reconvened to kill the $20 billion tax on big banks, tapping TARP instead. Passage remains in doubt. A WaPo editorial decries a little noticed provision in the financial reform legislation: “the permanent increase in the size of bank accounts eligible for federal deposit insurance from $100,000 to $250,000–retroactive to Jan. 1, 2008. It’s a bailout for a relative handful of well-off customers that may also increase risks in the U.S. banking system.” In some 2,000 pages, one can only wonder how many more surprises are awaiting discovery (assuming anyone bothers to read the 2,000 pages). David Weidner (Market Watch) provides useful discussion of 10 missteps of financial reform (the list could be extended, as he well admits). The Left is getting restless and may not prove willing to support the legislation in its current form, as Miles Mogulescu suggests at the Huffington Post. Good monetary policy. Bad monetary policy. Good presidents. Bad presidents. Good regulations. Bad regulations. Special interests. Corruption. Malfeasance. Ineptitude. War. 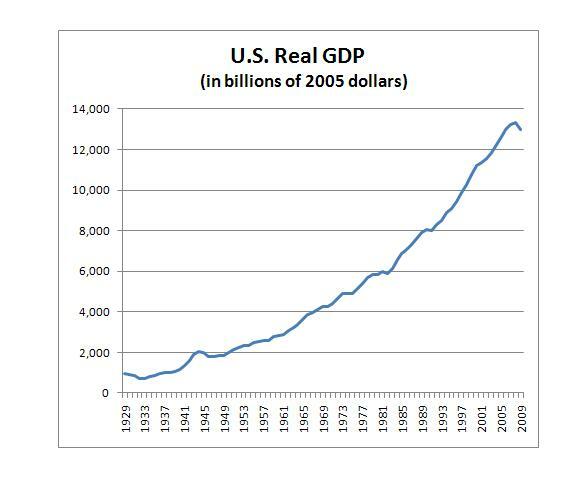 The graph shows a history of US business cylces since 1929 (but missing the slight uptick that will occur for 2010). Really. They are there. Look real hard. You can see ’em. This is the first installment in a series on the tensions within both libertarian thought and the libertarian movement. Today I will focus on abortion – though, as I will explain below, this might seem an odd choice of topics for this series if you spend a lot of time around many movement libertarians. 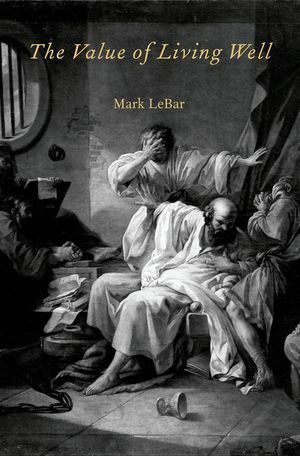 Listening to or reading the works of many movement libertarians, you would think that there was an unambiguous libertarian position on abortion. Namely, that libertarians are by definition pro-choice. Indeed, I have been told repeatedly by such libertarians that “we” have to be against laws restricting the ability of women to seek an abortion. More frequently, this position is just assumed during any conversation that touches the subject. Thus it was with no surprise that I read Michael Moynihan, on Reason magazine’s website, recently stating unequivocally: “I have very libertarian views on abortion” (I’m not picking on Moynihan, he just provided the umpteenth example of such talk by movement libertarians). * As it is clear here, Moynihan and others who say such things believe that there is a libertarian stance on the subject – on par with the libertarian view on, say, forced enslavement or income tax withholding (just joking about that last one — and btw, thanks Uncle Miltie for that “innovation”!). This represents either a serious misunderstanding of libertarianism or an overly broad conception of it that goes beyond politics. Libertarianism – in the “statist” way I define it – is not opposed to any law restricting what an individual can do. Properly understood, it is a thin political theory that sanctions only those laws that relate to the fundamental protection of an individual’s property rights, broadly understood (either because individuals have natural rights or because of a rule-utilitarian position that generates such rights). Therefore, in the area of abortion, all hangs on the definition of when life begins, whether an unborn child/fetus has rights or when it gains them, and therefore when a life warrants protection by the state. As a limited theory of politics, libertarianism cannot answer these questions and thus really has little to say on its own about whether abortion should be legal or illegal. We as individual libertarians can only answer these questions by importing exogenous ethical or scientific theories. Therefore, libertarianism is properly ecumenical on abortion. While this is admittedly too black and white, one could argue that if you think life exists/rights inhere at conception, as a libertarian you should favor at least some level of government protecting the rights of the unborn. If you think life exists/rights inhere at birth, as a libertarian you should be opposed to laws restricting acccess to abortion. But both arguments are good libertarian arguments once you import your understanding of when an individual life begins/gains rights. And thus we should not be surprised that there are libertarians on both sides of the issue. So while the Reason crowd seems to be more pro-choice, Ron Paul is pro-life and there is a group called Libertarians for Life. However, pro-lifers are underrepresented among movement libertarians in my experience. So please stop saying that there is a libertarian position on abortion – whether you are pro-life or pro-choice, pro-abortion or anti-choice, or anything else for that matter. * And you’ll see by the comments on Moynihan’s post that non-movement libertarians frequently disagree. “Let A Thousand Nations Bloom” is a blog loosely associated with the Seasteading Institute (well, at least, Patri Friedman is a contributor). This week, in the runup to Independence Day (which we all know is a superior term to “Fourth of July,” right? 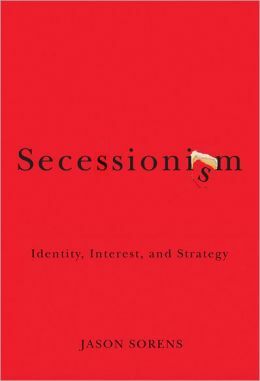 ), they are blogging about secession. Each day has a different theme, and today’s is the optimal size of nations. There’s actually a substantial economics literature from the late 1990s and early 2000s on this question, but Brad Taylor questions whether there really is such a thing as an optimal nation size, arguing that different public goods are best provided at different scales and scopes. At any rate, check it out – and I am planning to add some of my reactions ere long. The Recovery Summer is well underway. Today, a sharp drop in the Conference Board’s Consumer Confidence Index have sent markets into a triple-digit loss. Although Krugman draws analogies between 2010 and 1933, things feel a bit more like 1937. Will E-books Replace Real Books? I hope not. Here’s one writer’s negative reply. I hope he’s right. Update: Dan McCarthy is less positive about the future of the book.